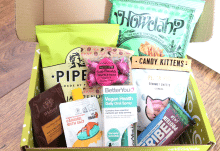 This month’s box is sealed up with gold tape! Very festive. Of course this month features Christmas cards. The technique this month is embroidery, and already I love how these cards are going to look. 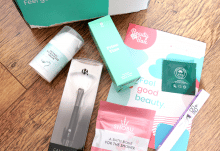 Each leaflet contains instructions, which are extremely clear and easy to follow. 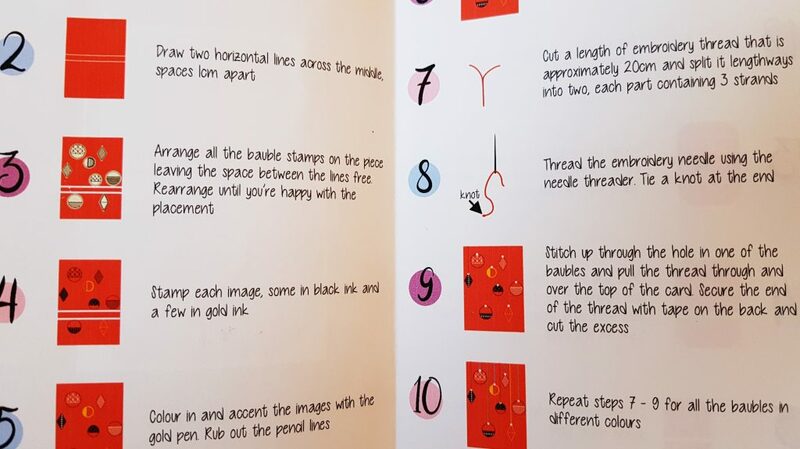 Even though the technique is embroidery, there are still acrylic stamps used in the designs. I really like the shapes of these stamps, very classy. There is also a gold pen, a gold inkpad, and some gold embellishments. Here are the lovely coloured thread that’s going to be used for these designs. 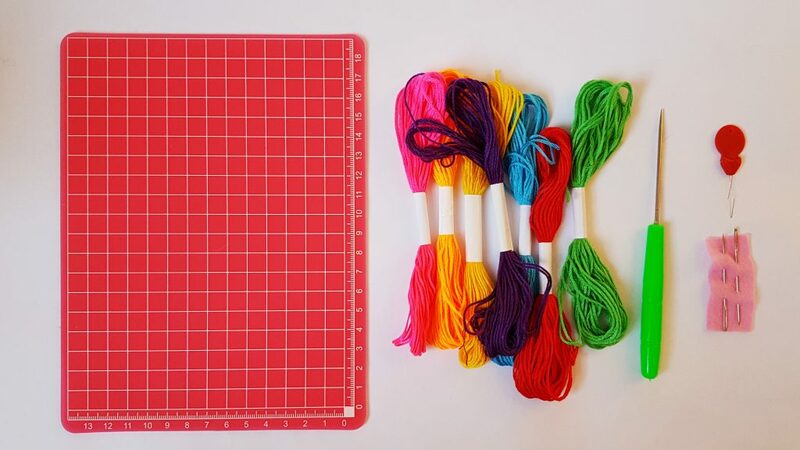 Also included are needles, a tool for making holes in the card, and a craft mat to protect your surfaces. There’s even a thing to help you thread the needle! Finally, the cardstock. 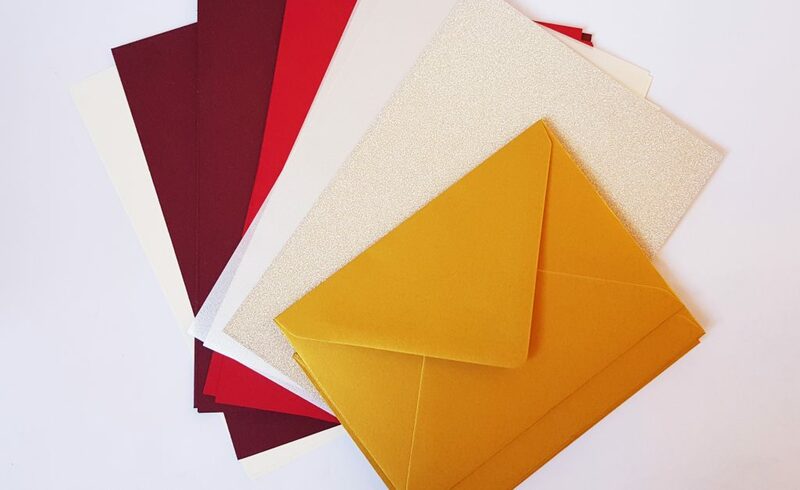 Beautiful colours, plus lovely gold envelopes for that final touch. 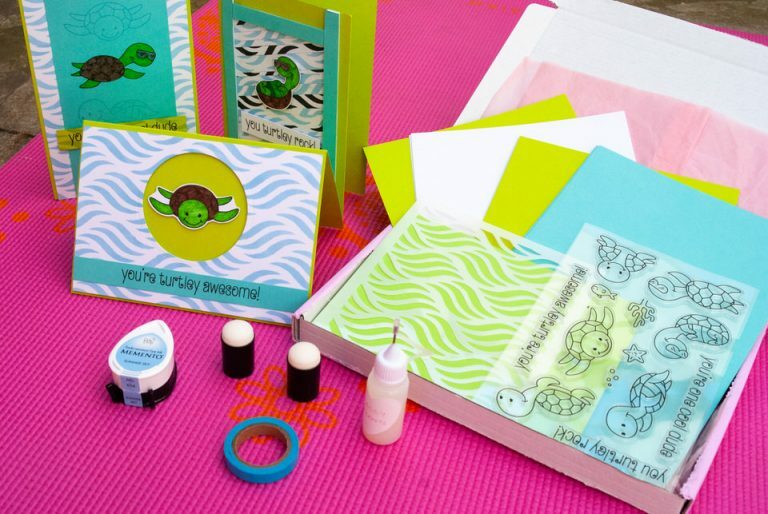 This box is a great way to learn about cardmaking, everything you need is included, and giving handmade cards is very satisfying. 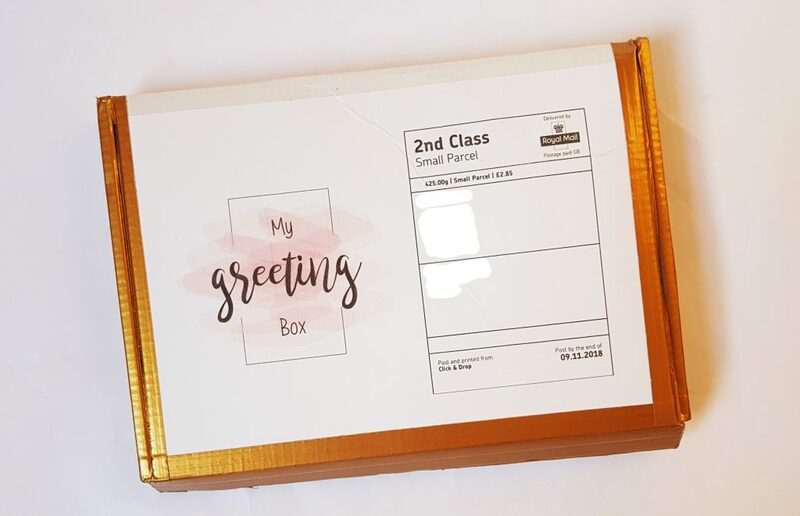 There is always plenty of cardstock and extra blank cards to make multiple cards if you wish, or perhaps have a try at designing something similar. 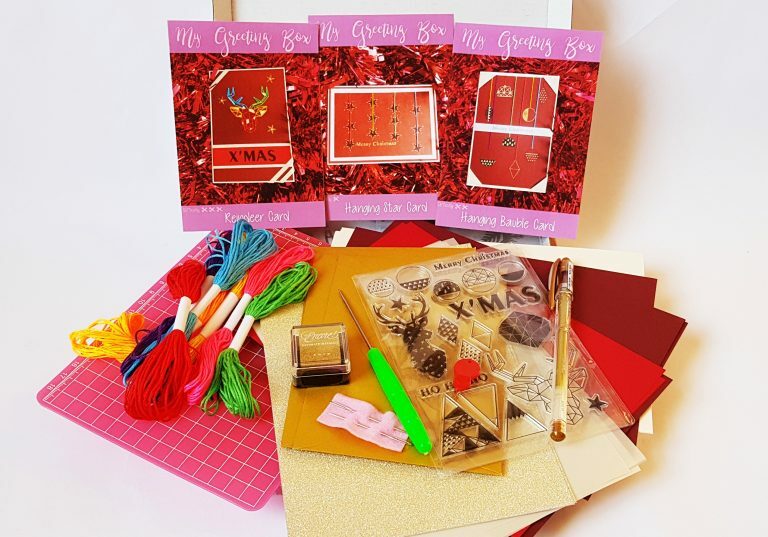 Whether you’re new at cardmaking or have some crafty experience, you can produce amazing results with this kit! I'm really excited about these designs. The colours are gorgeous, and the designs have a simple yet modern look. 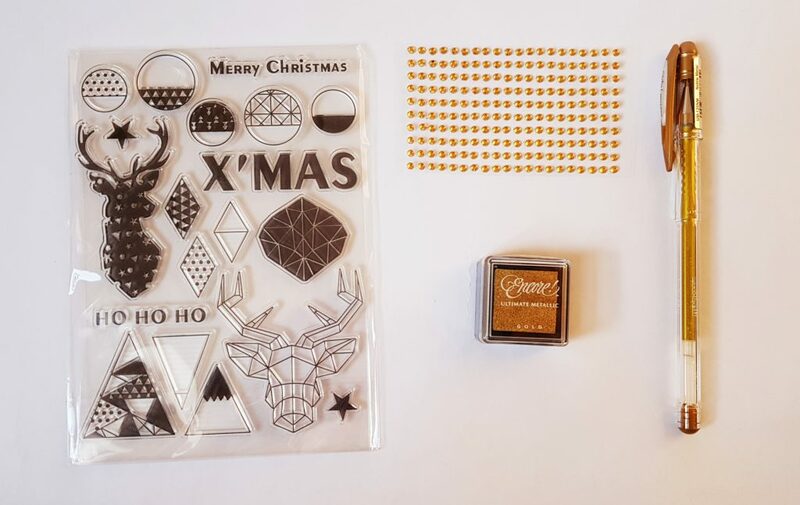 These have arrived in plenty of time to get crafting before Christmas comes around, and they are so much more special than something picked up from a shop.